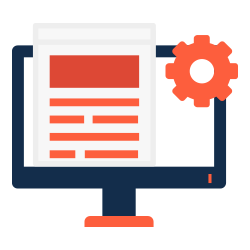 Our clients come to us for stunning websites built for conversions, but stick around for help accomplishing their goals with organic, paid, and earned media. Many individuals and companies go “viral” for all the wrong reasons. Our strategy is rooted in finding attention with your ideal audience (Newsflash: it isn’t everyone!). Since the landscape of digital marketing is constantly changing, our team invests a significant amount of time in keeping up, while also finding areas for improvement using the analytics behind client campaigns. As we process new information, we come back to you with what we know so that you understand why we’re doing it. Every move we make is based on a data-driven plan of action, founded upon your business goals and objectives. We may be experts in digital, but you're the expert on your business. Using analytics and other insights we’ve picked up by working on hundreds of client campaigns, the Folsom Creative team creates content to effectively reach your exact target customer. Once we’ve set up a new campaign, that’s just the beginning. We’re constantly tweaking content and paid ad activities throughout a campaign to optimize for goals and budget. A website on its own is not enough to accomplish long-term business goals. Neither is a paid ads plan, social media content creation, or an SEO strategy successfully implemented but lacking in alignment with your other digital marketing efforts. 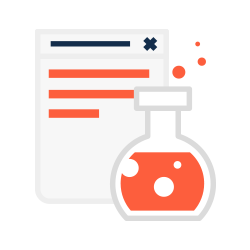 By tying the various elements of an online marketing strategy together, you greatly reduce the chance of an interested prospect leaking out of your funnel. The results that come from integrating these efforts speak for themselves. Digital success is more than a good looking website or yet another spoiled attempt at SEO. 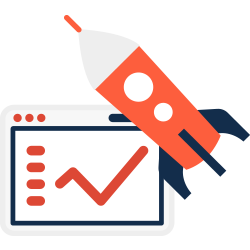 Success is born from our passion to create high performing websites and forward thinking digital marketing strategies that deliver positive ROI. Our team is dedicated to delivering great customer experiences and even greater business results. 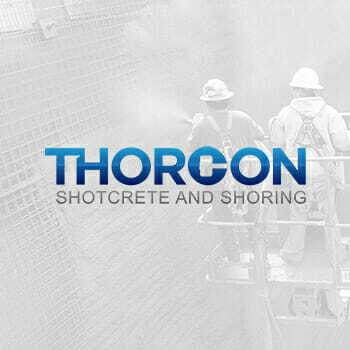 Thorcon Shotcrete & Shoring services Colorado, Utah, Texas, Nevada, Arizona and New Mexico with slope stabilization and design-build projects that include Micro-Piles, Shotcrete/Gunite, Rock Bolts and Ground Anchors. Folsom worked with Thorcon to create a clean website that communicated their branding and value to highly targeted website visitors. Folsom also manages Thorcon's Google Adwords display and search network marketing, utilizing location and demographic targeting to maintain a pipeline of highly relevant leads. Read on to discover the results of these efforts.